The Dutch Reformed Church building in Redelinghuys on the Cape West Coast had been destroyed in a fire. Former Church Minister, Ds Jan van Schoor, says he feels devastated that the 92-year-old Church building has burnt down. He says the fire spread so rapidly, that their closest fire services at Piketberg, about 45-minutes away, would not have been able to save the building. Van Schoor says they will however still be able to have their Sunday service in the Church Hall, which is still intact. 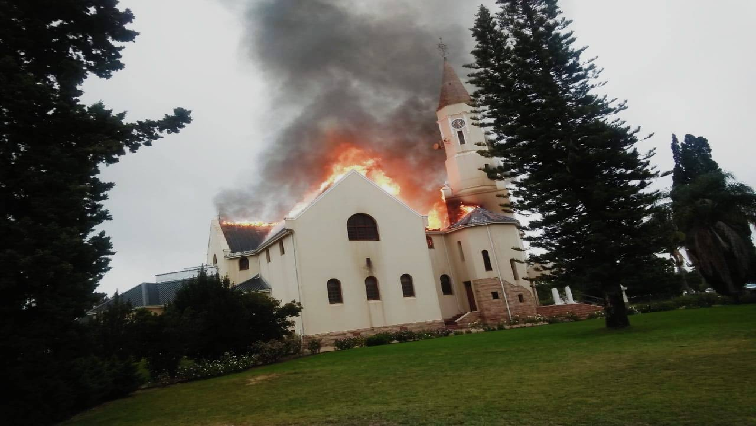 The post Dutch Reformed Church destroyed by fire appeared first on SABC News – Breaking news, special reports, world, business, sport coverage of all South African current events. Africa's news leader..